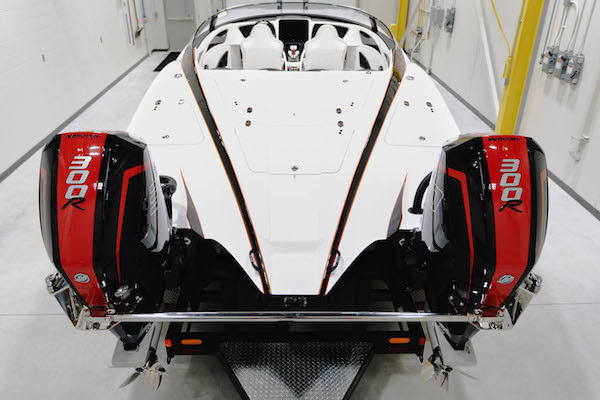 Lost in the endless speculation about what Mercury Racing will do next with its 4.6-liter V-8 outboard engine platform is that the company’s new 300R offering is starting to find its way onto the transoms of sport catamarans. Case in point is the MTI 340X sport cat in the attached photo, the Wentzville, Mo., company’s first build with the new naturally aspirated V-8s. Click here to read complete article, originally published on speedonthewater.com.